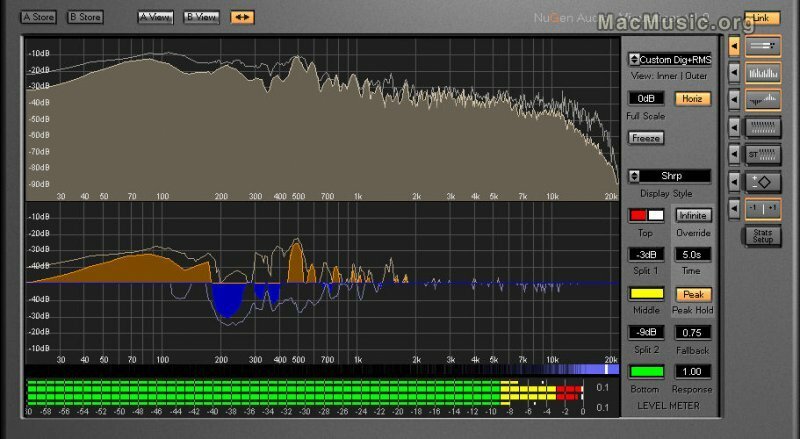 NuGen Audio has just updated its audio analysis tool Visualizer to version 1.9. This update introduces a new feature in views supporting chromatic scaling. In these views, the frequency axis now displays frequency as a note name and number. The tone generator (right-click tone function in Set-up options) also snaps to note values at the appropriate dB level, when chromatic options are chosen. This new feature can be used to simplify and accelerate tonal detection (including individual notes within existing audio), harmonic & overtone inspection and tuning compatibility analysis.